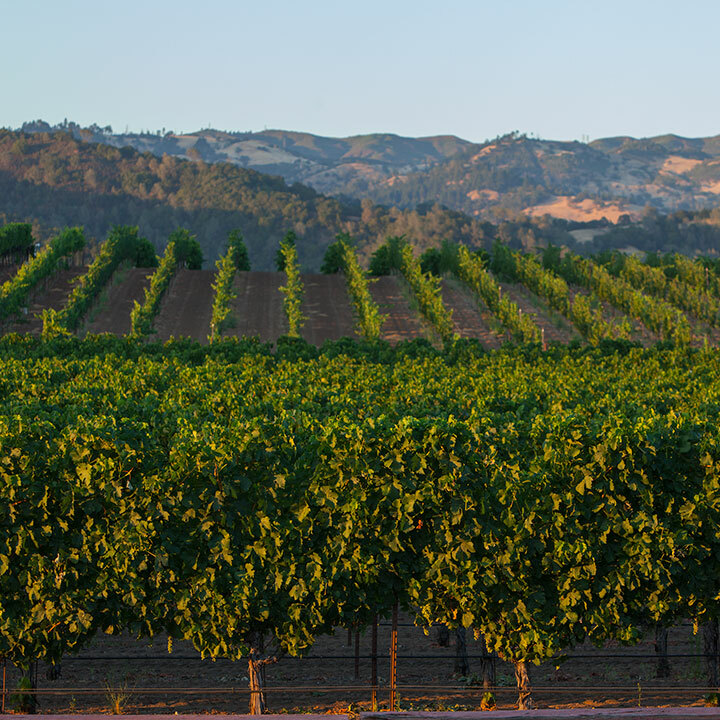 The Vineyards of Foley Sonoma lie at the heart of our estate. Situated seven miles north of Healdsburg, the gently rolling estate gives us varied terrain and soil types that allow us to grow award-winning grapes from a diverse selection of varietals. Our core viticulture focus is on the five noble Bordeaux grapes. Cabernet Sauvignon plantings comprise five and a half acres divided among five distinct blocks ranging from valley floor to western-facing slopes. Our second largest block is five acres of Merlot planted on the sandy loam soils of the Russian River. The remaining three noble varietals, Cabernet Franc, Malbec, and Petit Verdot blocks are all an acre or less and produce exceptional single varietal wines. We are fortunate enough to be the stewards of a two-acre block of Zinfandel that was planted in 1913. This treasure ignited our passion for making delightfully complex and expressive single block Zinfandel wine and is the inspiration for the two additional blocks of Zinfandel on our estate, the two-acre head-pruned block surrounding the Estate Residence and the one-acre East Block. Five and a half acres of Chardonnay are the beneficiaries of the well-drained soils close to the Russian River and our plantings are rounded out by a one-acre block of Tannat.